One of the best parts of Mark Hamill’s offscreen life is his close friendship with Star Wars sis Carrie Fisher, and it turns out the Carrie Fisher kiss in Star Wars: The Last Jedi was *all* Hamill’s idea. The actor is best known to people as Luke Skywalker, but true Star Wars fans know he’s so much more than that. Hamill is a constant source of joy offscreen, as his endless Twitter goofs, 40-year love affair with a dorky sweater, and genuine enthusiasm for all things Star Wars have endeared him to us forever. Also, he was the voice of the Joker in Batman: The Animated Series, and that’s just a fun anecdote. Anyway! Mark Hamill revealed he improvised the Carrie Fisher kiss on the set of The Last Jedi, and our hearts are SO FULL with this news. The actor sat down with Entertainment Tonight to talk The Last Jedi, and he revealed a *bunch* of fun facts about the filming process. The scene where he kisses Leia on the forehead, for instance? All spur-of-the-moment. Well, kind of. To hear Hamill explain it, the Force pretty much took the wheel with the Carrie Fisher kiss. In his words, the moment was not written into the script, but it wasn’t a conscious choice he made either. 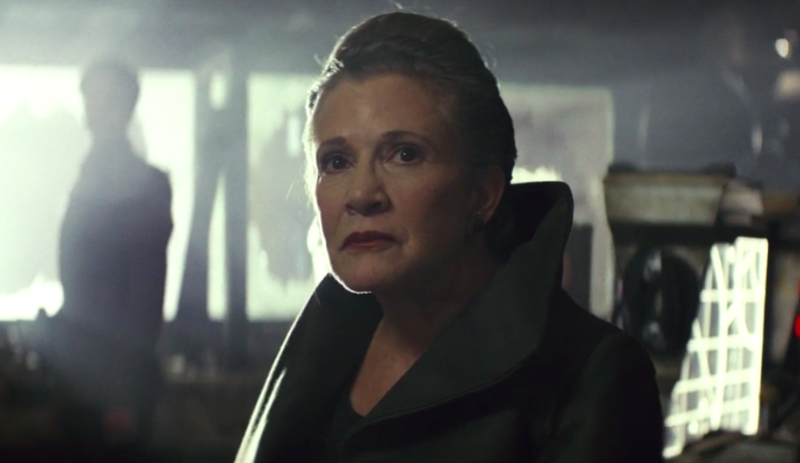 The tender Carrie Fisher forehead kiss at the end of the scene “just happened,” and was “spontaneous.” When the crew saw how amazing it looked, they called for a second take. It was also Hamill’s idea for Luke to acknowledge C-3PO. Does anyone have softer spot for Star Wars authenticity than Mark Hamill? Probably not. The actor also revealed to ET that in addition to the unscripted Carrie Fisher kiss, Luke’s brief interaction with C-3PO was his idea. Apparently, Rian Johnson’s script called for Luke to brush past his old protocol droid-slash-pal, but Hamill politely suggested that wouldn’t be Luke’s style. So, basically, some of Luke’s cutest moments in The Last Jedi are all thanks to Mark Hamill’s input. TBH, we shouldn’t be surprised.